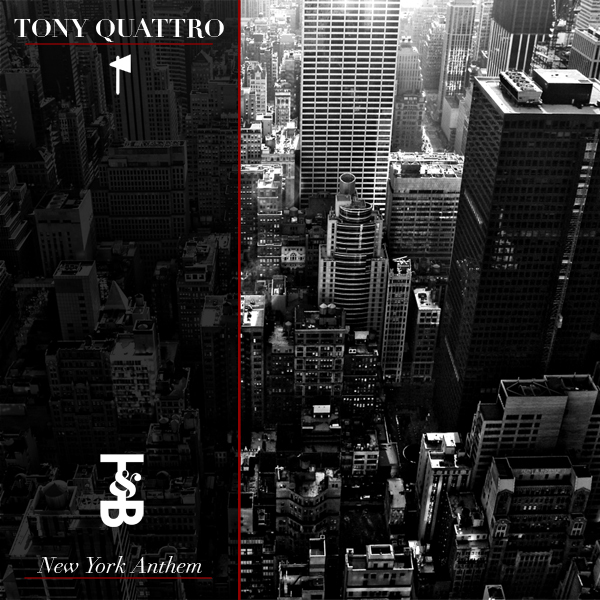 Having already received love from A-Trak and Mad Decent, up-and-coming New Yorker Tony Quattro drops his single "New York Anthem" via Brooklyn's heavy bass connoisseurs Trouble & Bass on February 19. Drawing from bass, house, and electro, "New York Anthem" may not seem "anthemic" at first beyond its shout-outs to the city, but about a minute in, you're infected and ready to hop a bus to the Big Apple. By two minutes in, things really explode, and the track just keeps building on itself. We've got the premiere of "New York Anthem" below. Make sure you grab this single, which also features a second track, "Forth and Seek", a collaboration with Doctor Jeep and ballroom house producer/vocalist B. Ames. i think this kind of blows. i've heard 10 new york "anthems" in the past year. i'm bored. sounds like your problem, not Tony Quattro's. This song RULES! Been excited for this release since I heard knomad rinsing it on RWD.fm late last year.